Product prices and availability are accurate as of 2019-04-05 10:31:22 EDT and are subject to change. Any price and availability information displayed on http://www.amazon.com/ at the time of purchase will apply to the purchase of this product. 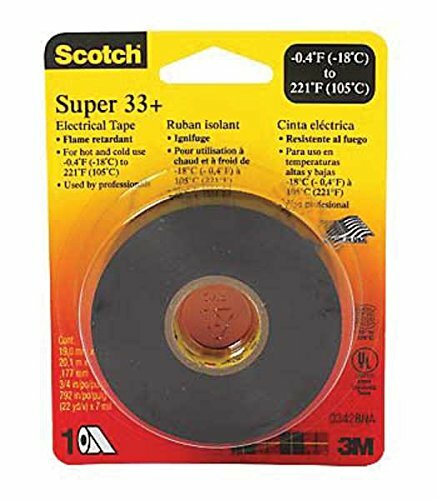 3M Super 33 Black Electrical Tape, 3/4" X 44' Super 33 is the best selling electrical tape on the market due to its ability to stretch up to 2.5X its natural length and excellent sticking abilities in both hot and cold environments.